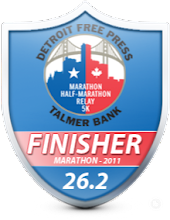 DETROIT RUNNER....: Upcoming Half and more giveaways!!! 4 miles on the schedule today - 4 miles is what I did(a little more) and did them outside and it was really cold and....slower....still recovering from the 5k on Sunday. The weather is supposed to warm up this week - maybe even 60 degrees but it's going to cool down for Sunday's half marathon. This half marathon is to combat CF(Cystic Fibrosis) - the person putting on the race, has CF herself and was also featured in a past Runner's World(late 2010 sometime). I'm really looking forward to this race. Ha - I look forward to all of them. As you can see, we basically run around the Island of Grosse Ile, Michigan. To the East is Canada and to the West is Southern Metro Detroit aka Downriver area. It should be a fantastic run with a great view. 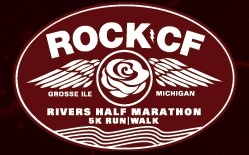 Weather for Sunday(as of today) 51 degrees for a high and partly sunny; low of 36 so that's looking like excellent weather for this inaugural race! Over 1,100 runners so far for it's first year. Awesome! You will not believe this. Yesterday I was going through the prizes for the Virtual 5k and realized that Road ID actually gave me FOUR $15 gift certificates and I only gave out two because that is all I thought I received. Anyway, sorry to Road ID for not acknowledging the extra two. This picture is from Road ID website so this code in not valid!!! The two certificates are going to go to two more participants in the Virtual 5k. Congratulations winners!!!! You won because I was disorganized!!! Haha! Please e-mail me and I will e-mail you the gift certificate code. Do you use a Road ID? If not, you should! One of the best running tools invented. 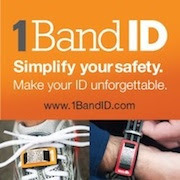 I've used Road ID for the past couple of years, ever since I started regularly running outside. You're right, everyone should use them! Hello there. You stopped by my blog to ask if I was participating in the virtual 5k. Not this time but maybe next time. 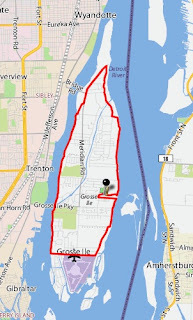 :) That half marathon on the island looks like fun. 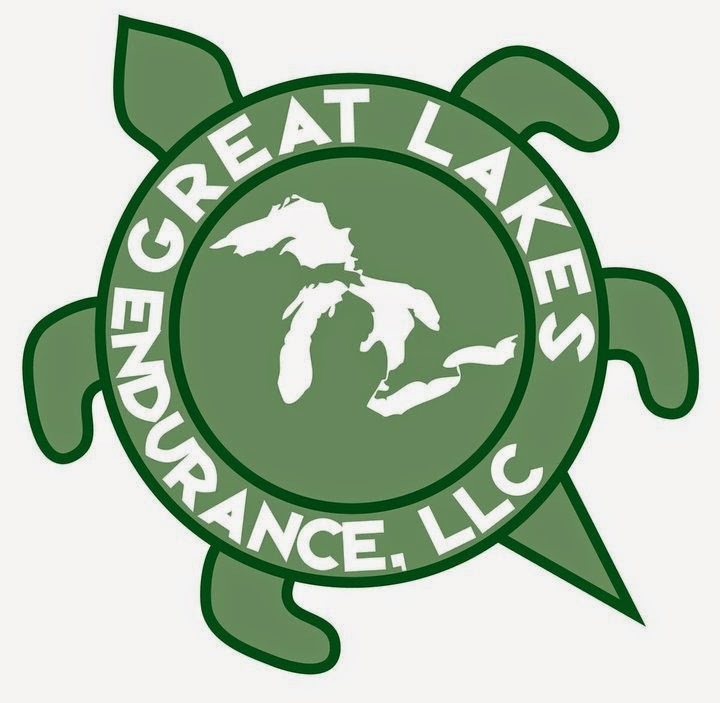 Hope you get the warmer weather and have a great race. I'm in Northeast Ohio and still holding out for nicer weather as well! Good luck this weekend, Jeff!! I've had a RoadID for several years now and I never run outside without it! I usually wear it at the gym too in case anything happens! Good luck at your race this weekend. I hope you have a great time! Do you have a pace target? Really need one for a half...you can't just floor it like a 5k..
Congrats to the additional winners! I think a RoadID is on my list of 'needs' at this point. Paul - I'll shoot for 2 hours or less. My PR is 1:45:55 but I'm not sure I want to push it for this race. We'll see how I'm feeling on Sunday. You are right too. The 5k, I just go all out but the half you cannot do that. that's a really cool course! good luck with it. Totally ordered mine yesterday. Can't wait for it to get here. Thanks again Jeff. Congrats Tahoegirl ! Glad I could put it on! AWESOME!!! Thanks Jeff! And thanks Road ID! I went to middle school with a cool girl that had to deal with CF. I think its really cool how people can take a 'weakness' and turn it into a strength. Danny - I don't know. My intent is to just run for training. Depends how I feel that day. To beat 1:45:55 is running pretty fast.